c/o David A. Lewis, Esq. 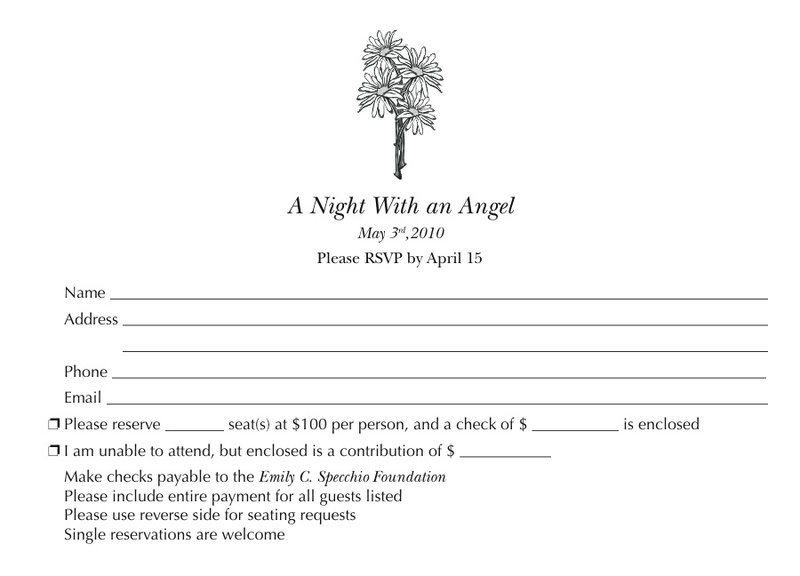 2) OR RSVP online by sending your name, address, phone, and email to kate@emilycspecchiofoundation.org (or through the contact page) along with the number/names of those attending and any seating requests. 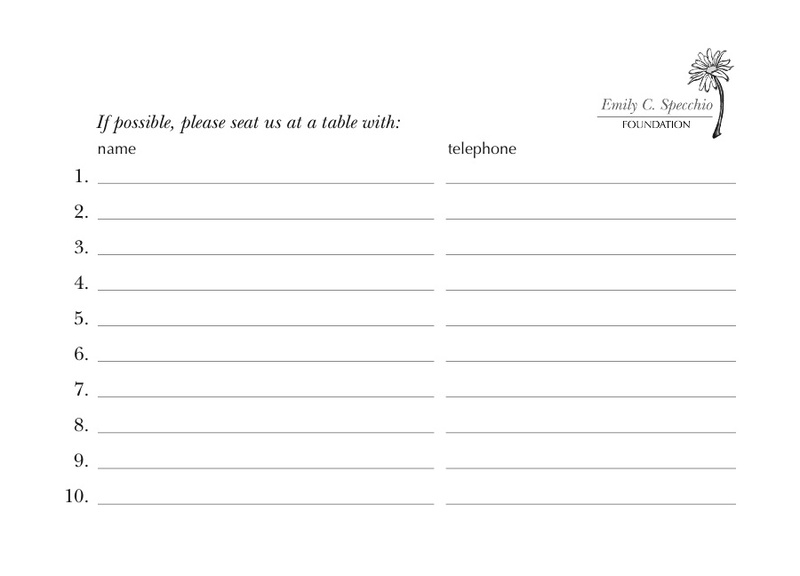 You may pay for the event ($100/person) online through paypal (can also click “donate” button in left column). A confirmation email will be sent for your reservation. RSVP has been extended to April 26th! We look forward to seeing you at the event. 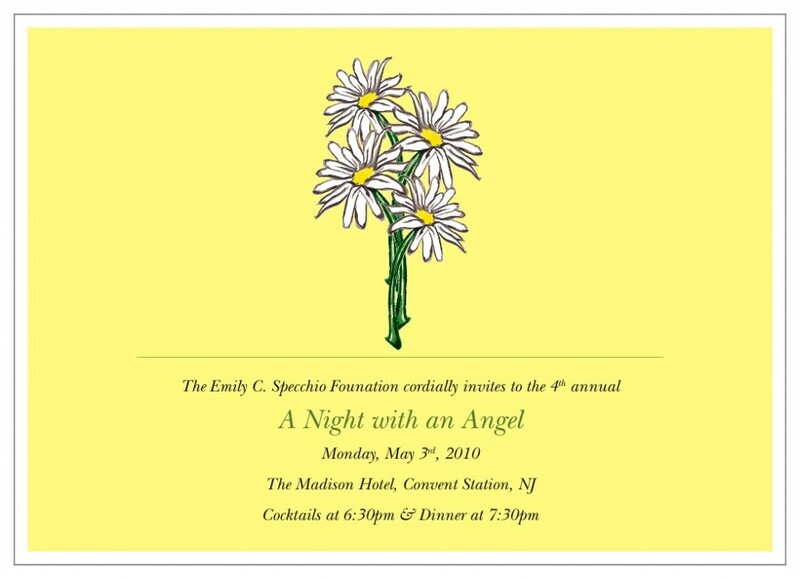 Thank you for your generosity and for supporting The Emily C. Specchio Foundation!